Guides are often used as a lead magnet, and target buyers in the consideration stage. Prospects who are aware of their problem, and/or exploring possible solutions are likely to be receptive to an “ultimate guide” that could potentially help bring them closer to a solution that is right for them. Thusly, the point of a guide is usually to move leads from the consideration to the decision stage. While guides are an incredible lead generating tool that we've seen major success with for ourselves and our clients, the downside to guides is that the good ones can take a lot of time to create. So how can you be sure to give yourself the best shot at success, and avoid spending time and resources on creating something no one will care about? Read on to learn about the top considerations when creating a guide or ebook as an effective strategy for your content marketing campaigns. The first step of planning how to create a guide is to make sure it provides a high level of value for your prospects. The only way to do that is to ensure it is aligned with your prospects needs and addresses the common challenges, interests and questions they encounter. This should be the first step baked into your process of deciding what to create an online guide about. The easiest place to start is with Google’s auto search, which will give you an idea of what others have searched for in the past. Just start typing questions that are related to what you know about your prospects questions and discover many variations and examples of historical searches. Next, try using a keyword research tool, such as Adwords Keyword planner. This will help you identify different related searches, as well as the search volume for each query. This is important as we want to make sure there are actually people searching for the questions we will be answering in the guide. If people aren’t searching, it’s probably not worth creating a guide for it. Makes sense, right? For example, we can see a few different variations below on someone looking for a solution to “speed up their website speed”. You will notice that some queries have more search volume than others. 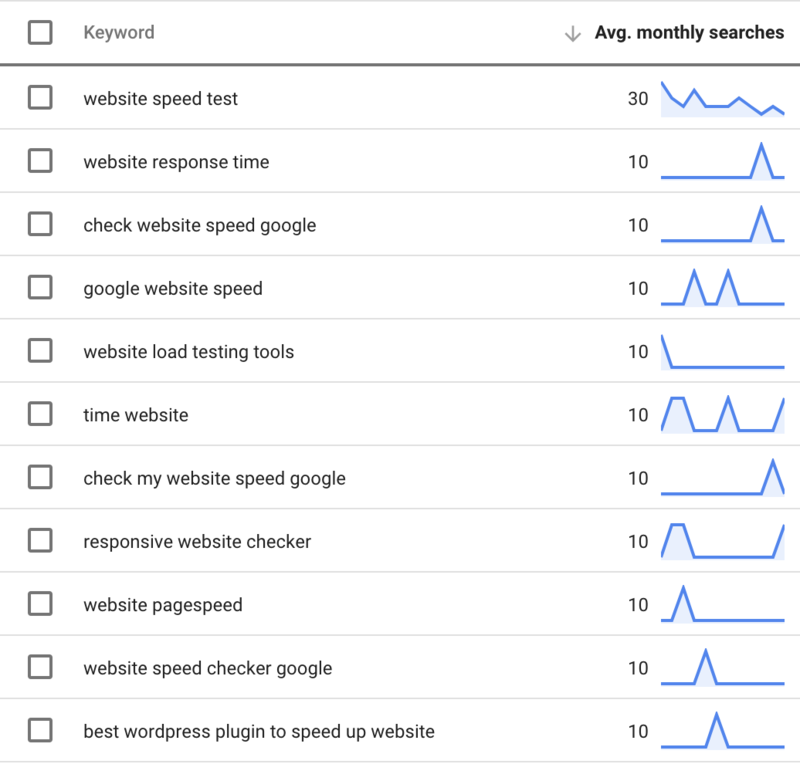 Lastly, let’s take a look at your Webmaster Tools Search Console. Navigate to Search Traffic > Search Analytics and Make sure the queries radio button is selected, as well as the clicks and impressions checkbox. Use a “?” in the query filter, and you’ll be able to see all of the questions people have searched for that generated impressions for your website! 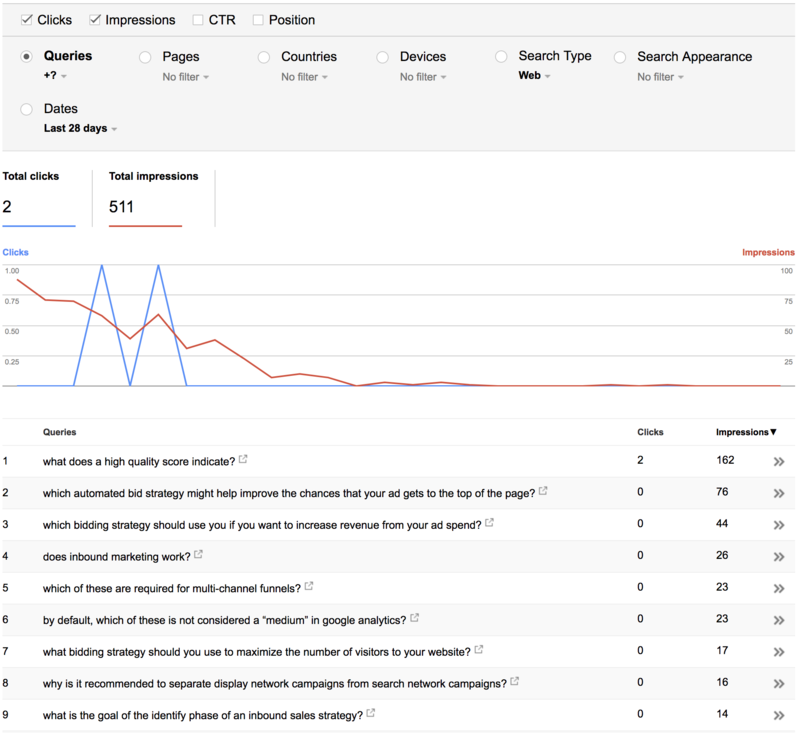 Sort by impressions, and you’ll get an idea of what searches are most popular. Pretty cool, right? Reach out and ask your audience the questions you need in order to learn about the areas they need the most help in. 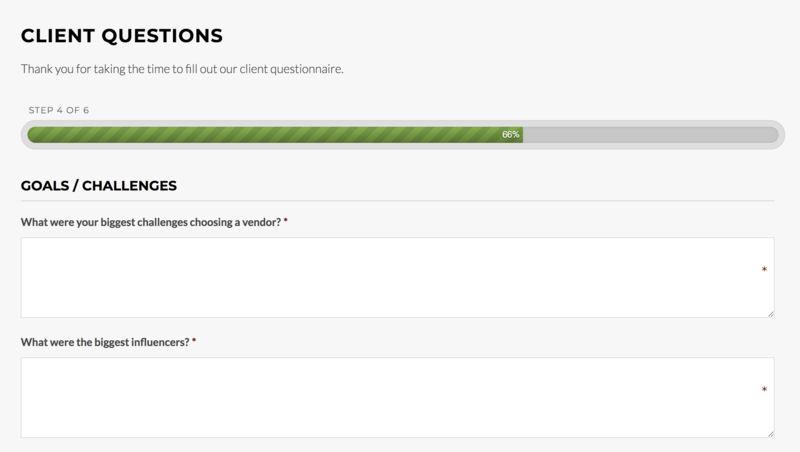 You can also ask your customers the main challenges they experienced on their journey in becoming a paying customer. How did you do in helping solve their problems? What could you have done better? What things influenced them the most? The more insights you have here, the more value you will be able to provide. Remember what we said about not operating on assumptions? When considering how to create a guide, you’ll want to be smart and start by spinning up a fast, bare bones version of your idea (don’t spend more than an hour on it). Next, run a quick Facebook campaign targeting your dream audience and you should get an idea of the general level of interest. The click-through-rate (CTR) will be a good indicator of whether or not the idea is a good one to invest more time into. If the CTR% is poor, then you can easily and quickly avoid investing a ton of time into an idea that your target audience won’t care about. Sometimes, all it takes is a minor pivot of your idea to make it more appealing. Before worrying about how to create a guide, test often and wait until you have data to confirm your idea is right inline with your prospects needs. If you try faking it, people will see right through you. Guides are an opportunity to build trust by being helpful from a position of authority. Don’t attempt to create a definitive guide on topics that you (or your company) don’t know enough about. For example, an online invoicing software company probably shouldn’t be writing an “ultimate guide to email marketing”, even if it’s a common interest that relates to their customer personas. This is a chance to showcase expertise, and differentiate yourself from the competition. By sharing high quality information that your audience may not be able to get anywhere else, you’ll stand out as an industry leader and increase the chances of them doing business with you. The example below is one of the guides that we offer here at Roketto. It was written by our own sales manager and co-founder Ulf Lonegren. 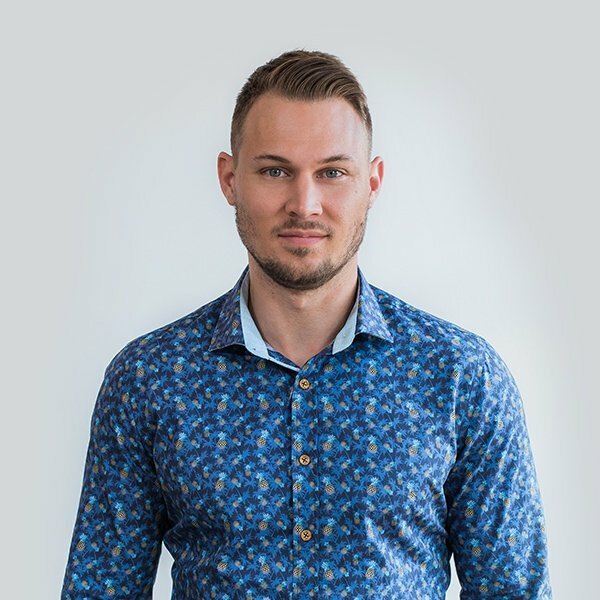 In the guide, Ulf shares powerful knowledge that he’s gained over years of Sandler sales training and HubSpot boot camps. The information in invaluable and comes from over a decade worth of experience. Just remember, if your guide doesn’t genuinely help the user, it’s going to waste their time and result in a negative impression of your brand. And in that case, it would have been better not to have created a guide in the first place. Would you want to spend your precious time reading something that looked like a 4th grader hacked it together? Probably not. The quality of your guide will be a main factor in how people perceive you. The way the content is presented is nearly as important as the content itself. A good guide or ebook should be easy to navigate, well laid out and look great. Take time and plan out the hierarchy of the guide. Ensure it has all of the information your audience needs, and is laid out well with a table of contents and headings so readers can quickly find the info they need. Use graphics or screenshots when possible to make it as easy as possible to follow. While the guide shouldn’t be about you, make sure the design follows your brand guidelines so prospects will start familiarizing themselves with your brand. Making sure the colours and style match your brand and website is a good way to start. 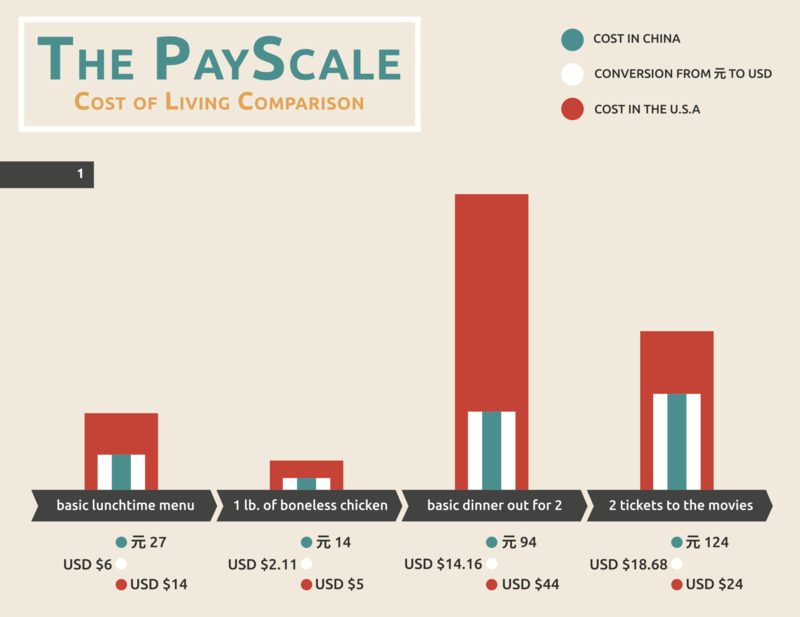 In the example below, we made a simple cost US to China comparison guide for one of our clients. We made sure the colours, fonts and style all matched the brand and website of the client. Hot Tip - Making a guide that looks amazing doesn’t need to expensive. If you can’t afford to hire a designer, there are tons of great looking templates and stock graphics online. A guide is not a fact sheet or a blog post. Don’t make your readers hunt for the information they need. Organize your guide so that it has a semantic hierarchy, with the information displayed in a sensicle way. Here’s a few tips on laying out your guide. This should be a simple list that consists of your four or five main sections, any necessary sub sections, and one or two brief sentences of what each section or subsection will be about. Keep this simple, but make sure that every section matters, and fits the overarching topic of the guide. Many times a reader might just be interested in one part of the guide, so do your best to help them find what they’re looking for as quickly as possible. A table of contents should be right after the cover of your guide, and list out the main sections of your guide. Almost all aspects of content marketing should follow your company’s voice and tone. Is it Authoritative? Conversational? Humorous? etc. Regardless of your style, it should have energy. Every brand touchpoint should exude your company’s energy, gently familiarizing readers with your brand’s voice. These guides shouldn’t simply be stats pages, or dry “how to” bullet lists. They need to be not only informative, but entertaining and exciting. If your company has not yet determined your voice and tone, it would be a good idea to create a style guide for your brand before getting too deep into content marketing. Your style guide should be referenced for all marketing communications, and helps writers create clear content that is inline with their company’s customer personas. This is even more necessary if you have multiple writers or contractors working for your company. 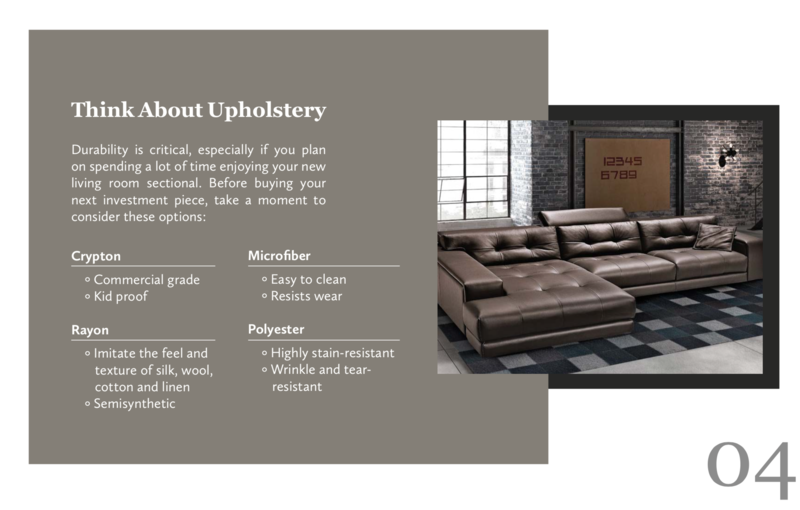 In the example below, you’ll find a page of a guide we created for a client in the furniture industry. Their voice and tone is a mix of conversational and educational, which can be seen through all of their content, online and offline. Follow these five steps and you’ll be on your way to creating the perfect guide that will resonate with your audience, and help you generate more leads.